Jypyä Pop (Turku, Finland) on 2 October 2018 in Plant & Nature and Portfolio. Slowly fading from the flowers but creeping into the leaves. Autumn is a great time. Hey, colors ! Please do not disappear ! 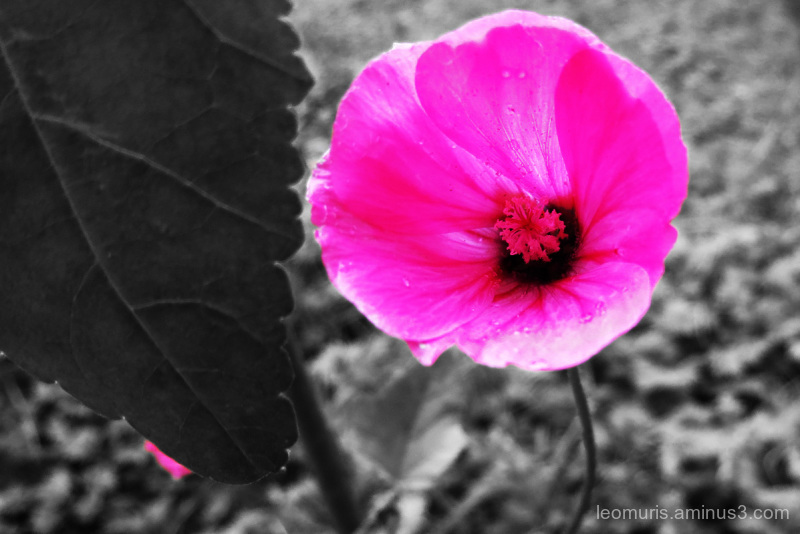 Splendid selective coloring to make this flower really pop! LOVE how you used selective color. That pink really pops! Winter is coming! The poppy tells the tale. Yes, the autumn is coming and the colors disappear ! @mvdfotokraam: Yes, so it is.